Granite counter tops are beautiful centerpieces in your home. The durability of granite means you should be able to enjoy its beauty for years to come. Granite will, however, lose some of its luster and shine over time. Even if a sealant was applied when the counter top or bench top was installed, that sealant can wear thin and allow liquids to seep into the granite surface. 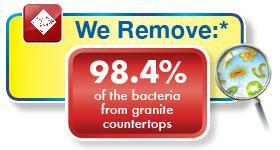 Residue, germs, dirt and water spots can dramatically impact your granite surfaces. Granite countertops are an investment and a beautiful accent to any home, whether it’s in the kitchen, bathroom, family room or even outdoors. While it’s important to keep your granite bench tops clean, that can be a challenge. 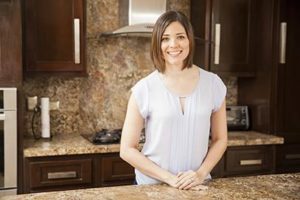 That’s why it’s good to know you can trust your friendly, local Chem-Dry operator to do the hard work for you – providing a deep granite cleaning and renewal, leaving you and your family with revitalized granite counters and a healthier home. BOOK YOUR GRANITE COUNTERTOP RENEWAL HERE!